A comfortable thin-line cutaway design with solid electronics at a great price. 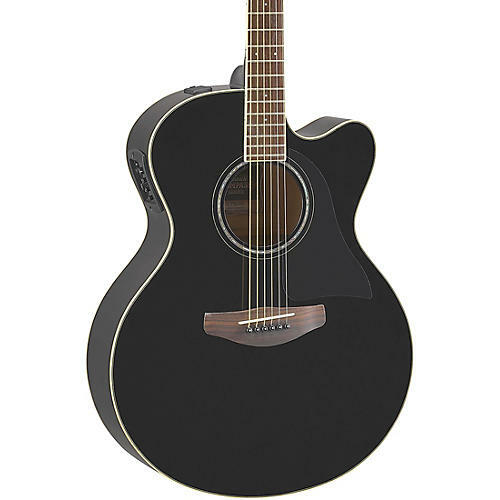 Yamaha's CPX guitars, like this CPX600 medium jumbo acoustic-electric, combine the on-stage prowess of their legendary APX series with a bigger-bodied design for a louder, fuller acoustic sound and a more traditional look. Combining the playability, clarity and dynamic tone of the Yamaha APX thin-line acoustic-electric series with a medium-jumbo body design for a more powerful, louder acoustic sound and traditional look, the CPX600 offers the ideal balance between plugged-in performance and acoustic style. ultra-clear, ultra-wide bandwidth signal with far better dynamic response and tonal accuracy than a regular, piezo pickup. Click or call to order the CPX600 today.